I have recently published articles on TDS on Recurring Deposits and TDS on EPF Withdrawals. I have been receiving lot of comments / queries on TDS (Tax Deducted at Source). I have observed that there are lots of misconceptions on TDS. Many investors think that TDS deduction removes their tax liability completely. One more misconception is – “No TDS means, no tax liability”. In this post lets us understand – What is TDS? What are the general misconceptions on TDS? Example : You book a Bank Fixed Deposit for Rs 3 Lakh for 1 year @ 10% pa interest rate. You will earn an interest income of Rs 30,000 after one year. Bank will deduct TDS at the rate of 10% i.e., Rs 3,000 (10% of Rs 30,000) and deposits this Rs 3,000 with Income Tax Department (on behalf of you). Bank issues you a TDS certificate (Form 16A) which reflects this deduction. 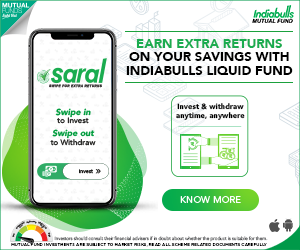 For example – If an employee withdraws his EPF money before 5 years of service and if the withdrawal amount is less than Rs 30,000 then TDS is not applicable. So, whether it is EPF withdrawals within 5 years or National Savings Certificates (5 year tenure) or any other investments, the interest income is taxed until and unless it is specifically mentioned that the income from that scheme is tax free. For example PPF enjoys tax benefit for which its interest is non-taxable. It’s a misconception that, if the employer has deducted TDS, you need not worry about filing your income-tax return. Your employer deducts TDS on your salary income only, whereas you may have income from other sources, and you have to include those in your Tax Returns. If your income tax slab rate is different to that of the TDS rate then you may have to pay the ‘balance tax’ or in some case you can claim ‘refund’ too. It is advisable to be aware of TDS rates on various incomes that you have. Due to ignorance or misconception many individuals follow some tax saving approaches which are completely illegal i.e. they fail to pay tax on certain incomes which are genuinely taxable. So, this is not tax saving but it is tax evasion. It can be very risky. 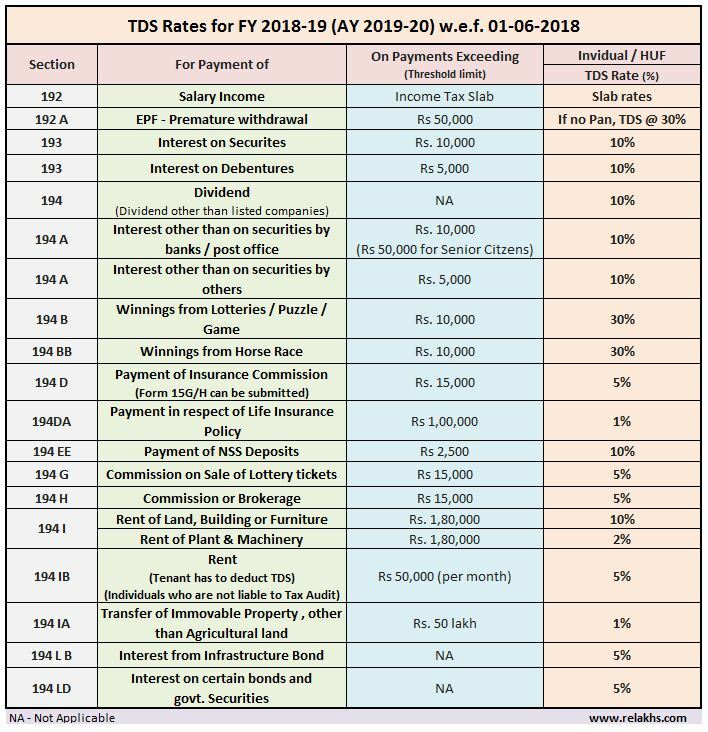 Below are the latest TDS rates applicable for financial years 2018-19. Sir, I received a TDS refund of Rs. 9700 (including interest) last year. Now, in the ITR-3 form for this year, under which section can I claim exemption? Items under “Schedule EI” are not being deducted from the total income automatically. Dear Kalinga ..I am unable to understand your query..kindly rephrase it! Sir, Please take a look at the ITR-3 form for this financial year. Under “Schedule EI” we can include details of exempted income. The Govt took TDS from me for FY2015-2016, which was returned to me in August 2016, a total of Rs. 9700. From what I understand, since that is an income which can be exempted for FY2016-2017, how would I deduct it in the present ITR-3 form. Should I pre-deduct it from Gross Receipts? I was under the impression that items mentioned under “Schedule EI” would be deducted from Gross Receipts automatically. Hi, I found the answer to this one myself. In “Schedule BP”, under “Income credited to Profit and Loss account (included in 1) which is exempt, in point(d)”, type the TDS refund amount which you received last year and also other exempted incomes like LPG subsidy. Let me know if I am right. You just need to disclose the TDS refund amount under Exempt Income section of ITR. I saw in my PAN card there is some transaction happened due to which TDS deposited in my pAN no which I found in 26 AS. I have no other income except salary, however, some unknown is using my PAN no for any business I am assuming. How to stop these transactions please help me on this. Firstly, do not mention these TDS credits in your Income Tax Return (if you are a tax assessee) and secondly, you may write a letter to your concerned Assessing officer (AO) about these. How to know who is your Jurisdictional AO? Thanks a lot, Sreekanth Reddy for your reply. RESPECTED SIR, YEARLY I AM PAYING INCOME TAX LAST YEAR I HAVE PAID RS60000// I HAVE DEPOSITED RS 300000// IN CASH INBANK ON 13/11/16 I HAVE FILED ITR PROMPTLY. IS IT LEGAL? Dear KUMARAGURU ..If you have been filing your tax returns honestly, kindly do not worry. I understand that there is no minimum exemption limit for deducting income tax on interest on N RO deposits and Banks deduct income [email protected]% on the entire amount of interest, however small it may be.In such cases if the taxable intetrest income is very nominal and the NRI do not have any other income in India, is it obligatory to file income tax return? Dear bharat Ji ..Advisable to file ITR & claim the TDS as refund. But while filing ITR is forgot to add details of the additional income i received from the side business. (TDS is deducted and deposited by the party). 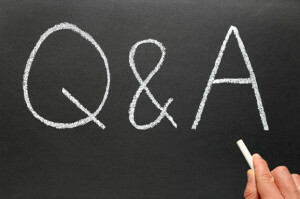 Would I have any tax liability or penalty for not disclosing the same. You may rectify your previous AY ITR. Suggest you to take help of a CA and file the ITR. SIR on 23-7-2011 I deposited 98296 under fixed deposit cash certificate category for 3 years and i was to get 29144 as interest.Total amount payable on 23-7-2014 is 127440. BUT after due date I renewed cash certificate for another 3 years . when i got new certificate it shows deposit amount as 125382 instead of 127440 which i was to get.Why they have cut 2058 ,is it tax.My due date for new certificate is 23-6-2017 and payable amount is 162560 i.e i am earning 37138 as interest and operation is 35 months.Shall i have to pay tax.If yes how much.Can i save tax,how. PRESENTLY I am student .This is what i have as income. Kindly note that the interest earned on FDs/RDs is taxable and TDS is also deducted. Kindly read: FDs & RDs – Tax implications. I am a freelancer and all my payments are made with TDS deductions. My income varies month on month. Do i still need to pay income tax? Dear Shobha..It depends on the quantum of income..Read: Income tax slab rates..
How much amount of proof i need to submit?? Kindly share details of your LIC policies (plan name, commencement date, tenure etc). Do you have any dependents and/or financial obligations? List of Income Tax Deductions for FY 2016-17 (AY 2017-18). Income Tax slab rates Fy 2016-17. Latest Form 12 BB to claim IT deductions. I worked with Indian company for 3 years 2011- 2014, Left India and maintain NRI status till date, In 2015 June I got EPF money ( 2 lakh) with TDS deducted at 10 %. I have read some article which says I need to refill income tax from 2011 to 2014, as EPF withdrawal is before 5 years. can you please guide me thru. If you do not have any income in India or if the Indian income is below basic exemption limit, you can file your tax return for FY 2015-16 (AY 2016-17) and can claim the TDS deducted amount as REFUND. EPF withdrawals & new TDS rules. First of all, thanks for such a informative articles on your website, they are very useful. Please help to address my below query. My Gross salary is Rs. 363648, I got exemption of Rs.19200 under conveyance which made Taxable gross salary (363648- 19200) Rs. 34448, TDS deducted by my employer on my salary for FY 2015-16 was Rs. 5444 and taxable HRA was Rs. 95316. Please note, I don’t have any investment due to this i didn’t submit any investment proof in my office. Also, I didn’t submit any Housing Rent slip (since I am living in my parent’s flat). Please suggest if I can do anything now (filling tax return, etc) to retrive my money back. If not please suggest future course of action. If you have not made any tax saving investments then what else can i suggest now as the FY 2015-16 is already over. Suggest you to plan your taxes for FY 2016-17 from now itself. Think beyond taxes when investing! I have fix deposits with various banks , in form 15 H revised recently in colum 17 total number of 15 H filed I have to mention all 15 H forms of FD in other banks submitted for current F.Y.? Also it is return in the form for the previous year , what is the meaning of previous year as we are filing 15 H for the current F.Y. Please elaborate on this. and give me info for income tax deduction how much investment in deceleration form. If you are planning for FY 2015-16, kindly read: IT deductions list for FY 2015-16. Also, read: IT deductions list for FY 2016-17. You can calculate your tax liability by visiting this link.. I have earned some money from part time job, but Employer had deducted the TDS even the income is less than 2.5 lac. Can you please tell me how can I get this money refund? Dear Akanksha..You can file your ITR (Income Tax Return) and claim the refund. Hi, was going through the forum and threads … Had a doubt so posting.. I am maintaining my NRE status and asked bank to make nre fd for 6 months. They mistakenly made an NRO. Because it was an E-fd and I was not in country when it got matured TDS was deducted at 30%. Can I claim this back as it was suppose to be a NRE fd and I Am maintaining Nri status. If i can then How can I claim this deducted money back. You have to file ITR and can claim refund of TDS. You may go through my article on – which ITR form to file? Does LOP or LWP affects on TDS deduction?. As per my knowledge we calculate TDS on projected annul CTC and start deducting on monthly basis.So my question is if there is an LOP or LWP of an employee so we should deduct TDS as same as deducted for last month or should deduct TDS as per present day in month. I believe that it can be as per ‘present day in month’, as the employee has not received a portion of the salary. my taxable amount is 14397. and it is deducted by employer. but when i downloding the form 26AS . it not showing the details. what should i do? Is it shown on your Form 16? Kindly check with your employer. Cross check your PAN no, Employer’s TAN and other personal details in your Form16. I am having NRO deposit for which I am earning interest of Rs.85000pa. There is no other source of income other than this. So tax is not applicable because I am below the tax slab i.e. less than 2.5 lacs . Bank make TDS of 10%. Can I submit FORM 15G for this NRO deposit? Dear venky..NRIs are not eligible to submit Form 15G. You may file ITR and claim the TDS amount as refund. Sir, Rs 16000/- LIC savings not added to my TDS Form 16 for FY 2014-15. how to add in e filling and how to submit the receipt (by LIC) online/offline. now my savings under 80C below Rs 150000. please guide me. You just need to show this under Section 80c deductions along with the your other tax deductions and re-calculate the tax liability. There is no need to send any investment proof docs to IT dept. I have withdrawn my superannuation recently and they have deducted 30.9% as TDS. Can you please help why such a huge deduction even I am paying my slary tax every year and no other source of income. If you withdraw money from a superannuation fund, it is added to your income, and if your total income is above the taxable limit, TDS will be applicable on the amount withdrawn. What is your income tax slab rate? Did you get this fund on your retirement?